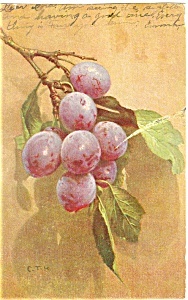 This item is a vintage postcard of a bunch of grapes. It is in good condition, pm ca. 1906 .